We offer food processing companies, restaurants, pharmaceuticals and retail outlets an alternative to landfill disposal; a low cost & environmentally friendly recycling option. 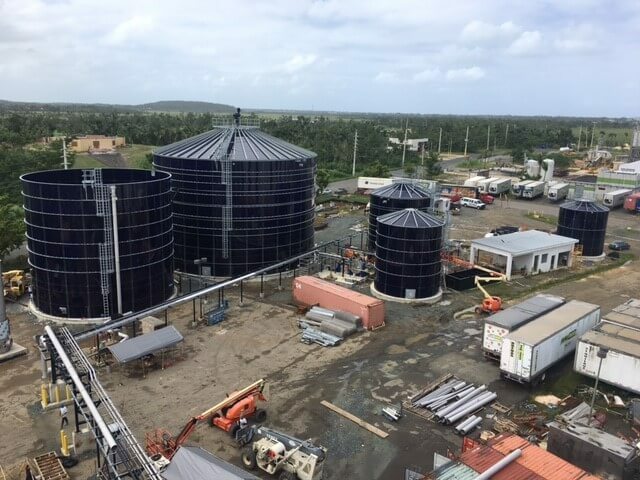 We are a supplier of renewable energy and a provider of environmentally sustainable food waste recycling services based in Puerto Rico. Organic Power, LLC offers food processing companies, restaurants, pharmaceuticals and retail outlets an alternative to landfill disposal; a low cost & environmentally friendly recycling option. We are the only permitted, commercial, anaerobic digester operation on the island. This technology converts organic waste into renewable energy and natural fertilizers. In addition, our US Food & Drug Administration (FDA) registered facility converts food waste into animal feed. Organic Power provide a unique combination of environmentally sustainable and cost saving solutions. The diversion of over 100,000 tons per year of food waste from landfills. The production of 4 Megawatts of low cost renewable energy. Increased agricultural production on the island. Our process is simple and environmentally responsible throughout all phases from collection through distribution. Food and other organic waste, both liquids, and solids are picked up by or delivered too Organic Power. Organic waste received at our facility is initially evaluated to determine its most sustainable form of recycling. Food waste that is acceptable for conversion into animal feed is sent to a system that separates the food from any packaging material. The recovered food is then processed by a drying system that removes excess moisture and kills any pathogens. The result is a high grade, nutritious animal feed product with a long shelf life. The other organic material, as well as an energy crop, is processed by the anaerobic digester system. Here as well, the first step is to separate the organics from any packaging or other inorganic materials. The “clean” organics are then mixed with other organics in a process holding tank, pre-treated and then pumped to the anaerobic digester. The digester is a biological process where anaerobic bacteria consume the organic material and convert it into renewable energy in the form of biogas. Our generators use this biogas as fuel to produce electrical and thermal (heat) energy. Through the anaerobic digestion process, an organic fertilizer is produced. This environmentally friendly product is used to fertilize our energy crops, as well as other local farmlands. The future of organic waste recycling in Puerto Rico. Copyright by PR Renewable 2018. All rights reserved.